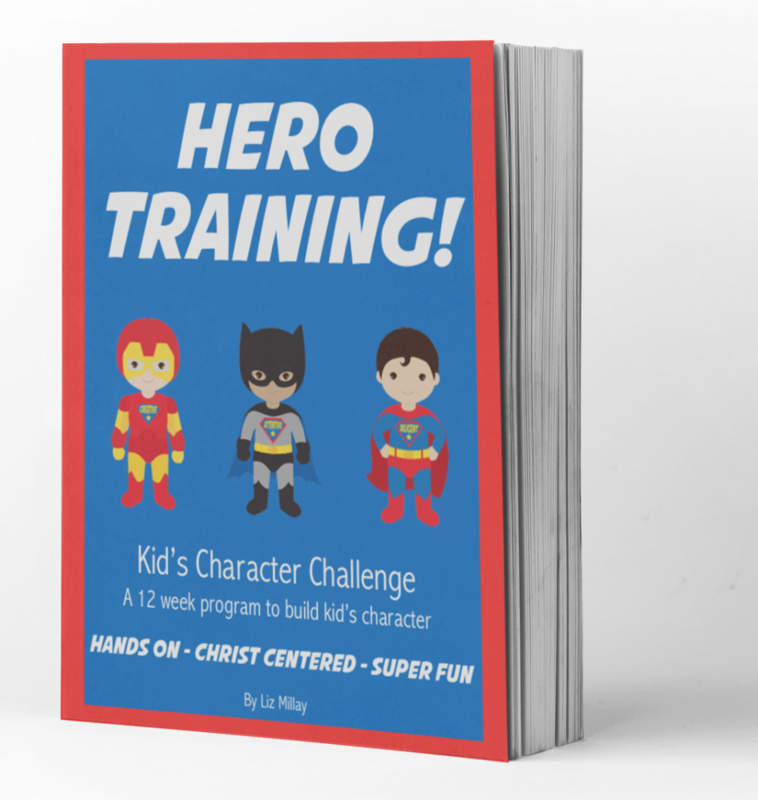 Hero training is a fun, hands-on, 12 week program for parents to do with their kids that will help them build character and learn more about Jesus. Improve behavior issues through building character skills? Open the lanes of communication with your child on matters of the heart and character? Help your child learn more about the person and heart of Jesus? All while taking a playful approach that is tons of fun! Yes, you can! With the exciting, yet simple lessons in Hero Training you can achieve all of this and more! 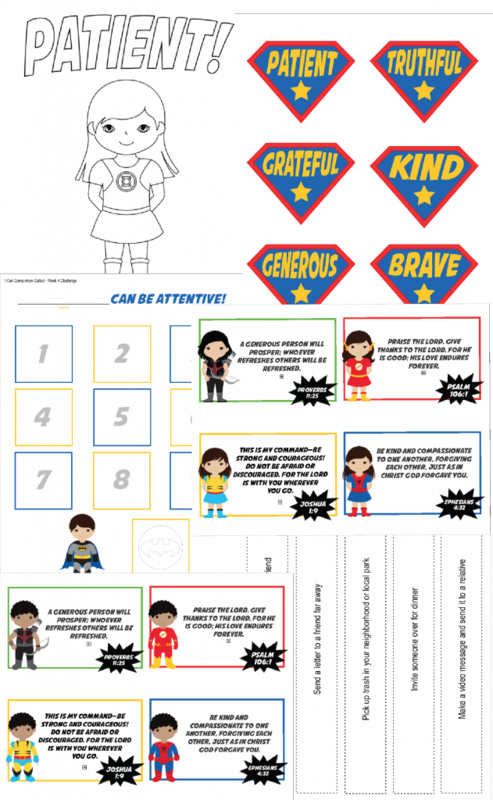 Also included in the Hero Training eBook is over 60 pages of printables! Templates for crafts, memory verse cards, progress charts, coloring pages, and more! 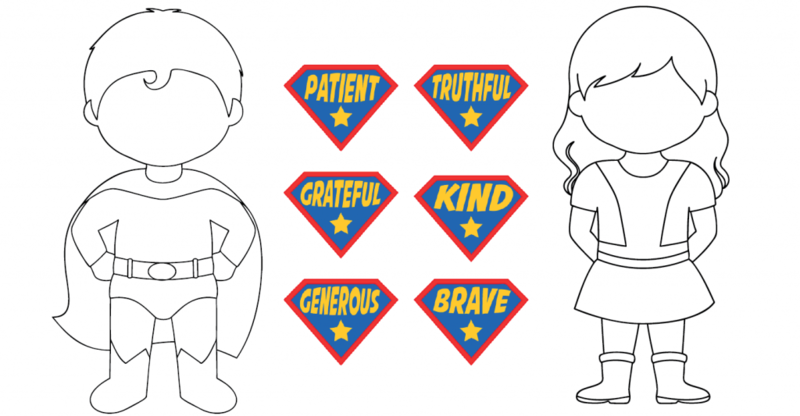 All the printables are included with both girl and boy versions, plus multiple different ethnicities! Another awesome feature included with the eBook are 24 oversized poster files that you can print to hang up while you go through the challenges. One more awesome printable I want to share with you is the character badges and posters. This includes two oversized posters of blank superheroes that your child can design to look like them! 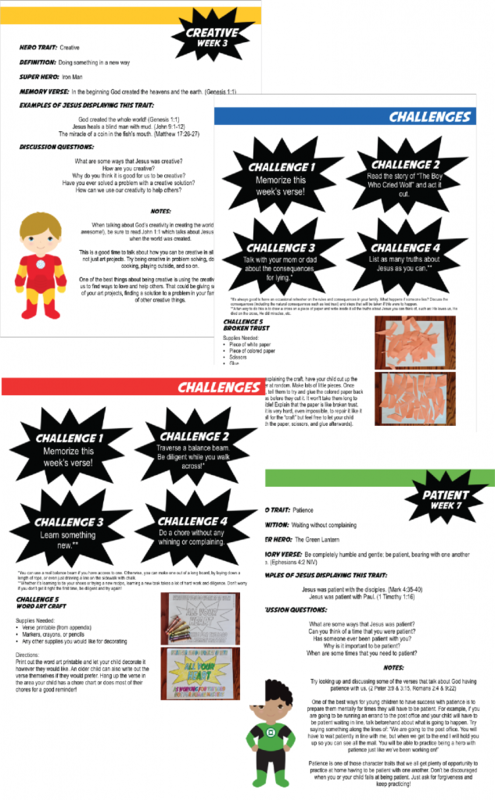 Then, as your child completes the challenges, he or she can earn badges to place on their superhero poster! 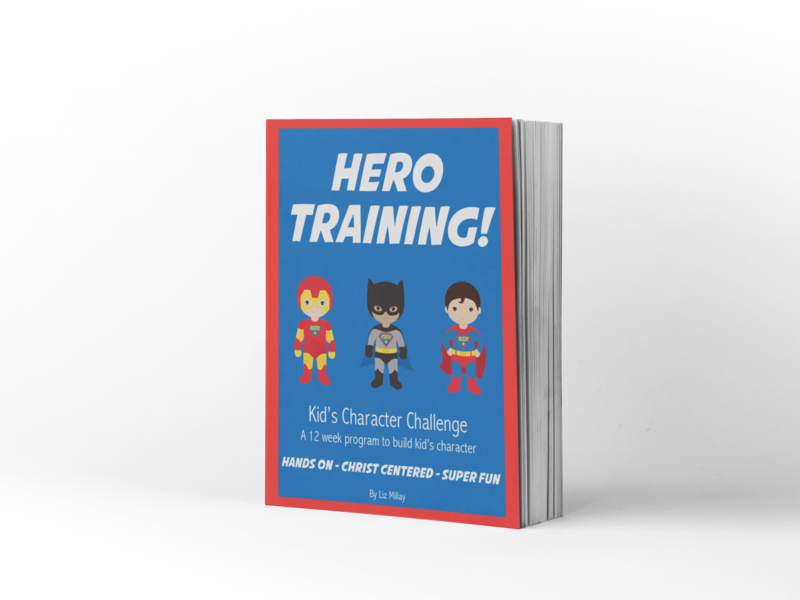 Are you ready to get started training your superhero? !